In mathematics, you see certain graphs over and over again. For that reason, these original, common functions are called parent graphs, and they include graphs of quadratic functions, square roots, absolute values, cubics, and cube roots. Quadratic functions are functions in which the 2nd power, or square, is the highest to which the unknown quantity or variable is raised.. 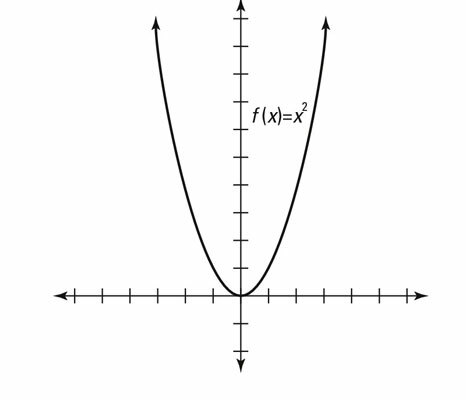 The function y=x2 or f(x) = x2 is a quadratic function, and is the parent graph for all other quadratic functions. The shortcut to graphing the function f(x) = x2 is to start at the point (0, 0) (the origin) and mark the point, called the vertex. Note that the point (0, 0) is the vertex of the parent function only. In calculus, this point is called a critical point, and some pre-calculus teachers also use that terminology. Without getting into the calculus definition, it means that the point is special. The graph of any quadratic function is called a parabola. All parabolas have the same basic shape. To get the other points, you plot the points (1,12)=(1,1), (2,22)=(2,4), (3,32)=(3,9), etc. This graphing occurs on the other side of the vertex as well and keeps going, but usually just a couple points on either side of the vertex gives you a good idea of what the graph looks like. This figure shows an example of a quadratic function in graph form. you’re being asked to find only the principal or positive root of x.. This graph starts at the origin (0, 0) and then moves to (1, sqrt(1))=(1,1), (2, sqrt(2)) , (3, sqrt(3)), etc. Notice that the values you get by plotting consecutive points don’t exactly give you the nicest numbers. Instead, try picking values for which you can easily find the square root. Here’s how this works: Start at (0,sqrt(0))=(0,0), then go to (1,sqrt(1))=(1,1), then to (4,sqrt(4))=(4,2), then to (9,sqrt(9))=(9,3), etc. 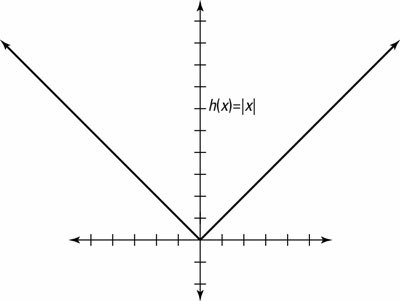 The absolute-value parent graph of the function y = |x| turns all inputs non-negative (0 or positive). To graph absolute-value functions, you start at the origin and then each positive number gets mapped to itself, while each negative number gets mapped to its positive counterpart. 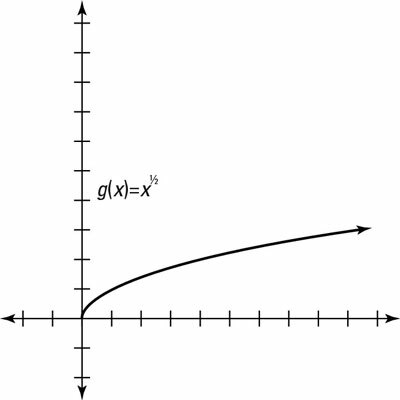 This figure shows the graph of an absolute-value function. 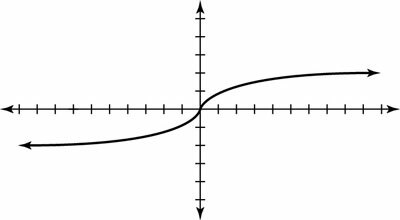 In a cubic function, the highest degree on any variable is three. The function f(x) = x3 is the parent function. You start graphing the cubic function parent graph at the origin (0, 0). From (0,0), you graph (1,13)=(1,1), (2,23)=(2,8), etc. to the left of (0,0) you graph (-1,(-1)3)=(-1,-1), (-2,(-2)3)=(-2,-8), etc.. 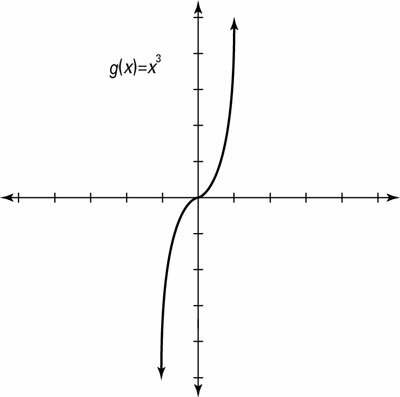 The cubic parent function, g(x) = x3, is shown in graph form in this figure. Noting that a cube-root function is odd is important because it helps you graph it.